On April 13, 2012, the Government of Sierra Leone's Ministry of Social Welfare, Gender and Children's Affairs lifted the suspension on intercountry adoptions that it enacted on May 21, 2009. Official information states at this time that any new intercountry adoptions will take place under the country’s existing legal framework outlined in the country information sheet for Sierra Leone on adoption.state.gov. An interagency committee established by the Ministry continues to work on new adoption laws and procedure and the situation remains fluid. We strongly encourage prospective adoptive parents to read all information regarding intercountry adoption procedures for Sierra Leone prior to beginning the process of intercountry adoption. The Central Authority will no longer accept any applications from non-citizen single persons, and will only accept applications from non-citizen couples for the adoption of special needs children. Married couples where one spouse is a citizen of Lithuania will continue to be able to adopt under the previous rules. Families currently registered with the Lithuanian Central Authority will not be effected by the new rules. From 1st of April 2012 foreign nationals who are the permanent residents of a foreign state may apply to State Child Rights Protection and Adoption Service under the Ministry of Social Security and Labour only with an application for adoption of children with special needs. Besides, only spouses may apply for mentioned adoption. Citizens of the Republic of Lithuania (spouses) and spouses whereof one is a citizen of the Republic of Lithuania who are the permanent residents of a foreign state may apply for adoption in usual order as it was before. New rules regarding intercountry adoption came into force in accordance with the order of the Minister of Social Security and Labour No. A1-8 of January 10, 2012 Re: Amendments to the order of the Minister of Social Security and Labour of the Republic of Lithuania No. A1-162 “ Re: approval of the description of procedure for authorizing the institutions of foreign states to act in pursuance of international adoption in the Republic of Lithuania” of 3 June 2005. PEAR's major efforts center around advocacy for ethical adoption practices, education, and to provide assistance and support for anyone touched or affected by adoption. PEAR provides analysis and feedback for legislative efforts and regulation of adoption practices globally. We support the Rights of the Child as defined by the UN Convention, and as such provide critiques, suggestions, and warnings of problematic practices to government and other regulatory bodies. We attempt to educate the adoption community through our blog about current trends and problematic issues that arise in various country programs or domestic placement practices. We strive to present new viewpoints that are child-centered and respectful of families. PEAR members have access to a closed discussion group where all adoption issues can be discussed and viewpoints widened to what is currently happening in the adoption community. 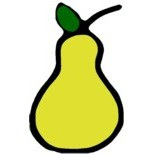 One of PEAR's unique services is direct support at no charge to those who contact our organization for help and assistance. Most often we are contacted by PAP/APs in need of assistance, but we have also assisted adoptees and parents of origin. We provide advice and recommend appropriate resources when available. We can assist individuals in filing complaints to COA or direct them to appropriate government offices, but we cannot represent individuals or families. At a very minimum we attempt to support those impacted by adoption and refer problematic cases to appropriate offices or resources. -At times we receive requests for assistance with adoptions that appear to be unethical or possibly illegal. We do not encourage or support these types of adoptions, although we can help families navigate muddy waters and guide them toward better outcomes for the children involved. -Work to create a greater free-flow of adoptions globally. It is our belief that adoptions and child welfare need more regulation and quality, rather than an increase without adequate oversight. -Receive salaries or payment for our work. At this time we are an all-volunteer organization. PEAR uses funds received via donations or membership dues largely for operational costs or conference expenses as approved by the board of directors. The Council on Accreditation (COA) has announced that effective April 13, 2012 it has terminated the suspension of the Hague accreditation of Huminska's Anioly, Inc. that was imposed effective March 6, 2012. Huminska's Anioly, Inc. completed its corrective action plan to COA’s satisfaction and COA has determined that Huminska's Anioly, Inc. is now in substantial compliance with applicable U.S. accreditation standards. Huminska's Anioly, Inc. may resume providing adoption services in Hague Adoption Convention cases as of April 13, 2012. If you have further questions, please contact LaTina Woolen, the Accrediting Entity Liaison, who may be reached at (202) 663-3119 or at WoolenLA@state.gov in the Office of Children’s Issues. The Romanian Office for Adoptions announced that its new adoption law went into effect on April 7, 2012. The new law allows for intercountry adoptions of Romanian children by relatives of the fourth degree of kinship, the spouse of the child’s natural parent, and Romanian citizens who are habitually resident abroad. Please be aware that the U.S. law implementing the Hague Convention on Protection of Children and Co-operation in Respect of Intercountry Adoption (the Convention), the Intercountry Adoption Act of 2000 (IAA), requires prospective adoptive parents to be U.S. citizens in order to be eligible to apply for intercountry adoption using U.S. procedures. This means that Romanian citizens legally residing in the United States will be able to adopt from Romania only if they or their spouses are also U.S. citizens. Moreover, the U.S. Hague Adoption Convention accreditation regulations (22 CFR 96) provide that in each Convention adoption case, an accredited agency, a temporarily accredited agency, or an approved person will be identified and act as the primary provider. More information on the role of U.S. accredited ASPs and the role of U.S. accrediting entities is available on the Department’s adoption website, adoption.state.gov. The Department of State has provided information to the Romanian Office for Adoption about the U.S. requirement for a primary provider to serve in each Convention adoption, explaining the critical monitoring and oversight role of U.S. accrediting entities in ensuring that ASPs remain in substantial compliance with the IAA and the Convention. We look forward to the opportunity to expand our cooperation with Romania as Convention partner countries. The Ministry of Education and Science, the Central Authority of Kazakhstan, has confirmed that the governmental decree approving its new policies to process intercountry adoptions and accredit adoption agencies in Kazakhstan goes into effect on Thursday, April 5, 2012. The Government of Kazakhstan will begin accepting applications for accreditation from potential adoption service providers on April 9, 2012, on a first-come, first-served basis. Information on the new accreditation process and the new adoption procedures will be available on the Central Authority's website shortly. A blog post was recently made public by Brian Stuy of Research China which addresses some of the issues contained in our Ethics Alert on China's Special Needs Adoptions http://pear-now.blogspot.com/2012/03/pear-ethics-alert-china-special-needs.html. We received similar stories and information from both adoptive families and adoption service providers before publishing our alert. PEAR believes that prospective adoptive families and adoptive families have the right to information the potential ethical and legal issues surrounding their adoptions (see points 2, 3, and 11 of our Prospective Adoptive Parent Bill of Rights and point 1 of our Adoptive Parent Bill of Rights). It is not our intent to cause undue anxiety or cast judgments on adopting families, but it is extremely important that all adopting families have access to the information and realities involved in adoption before making choices to adopt.